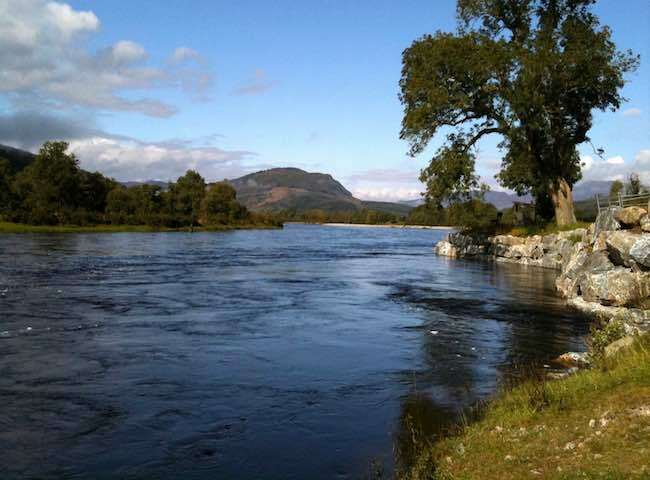 Here's a lovely shot of the beautiful River Tay in Perthshire. This famous Scottish salmon river which is close to the major hubs of Edinburgh & Glasgow makes the perfect salmon fishing event day venue. 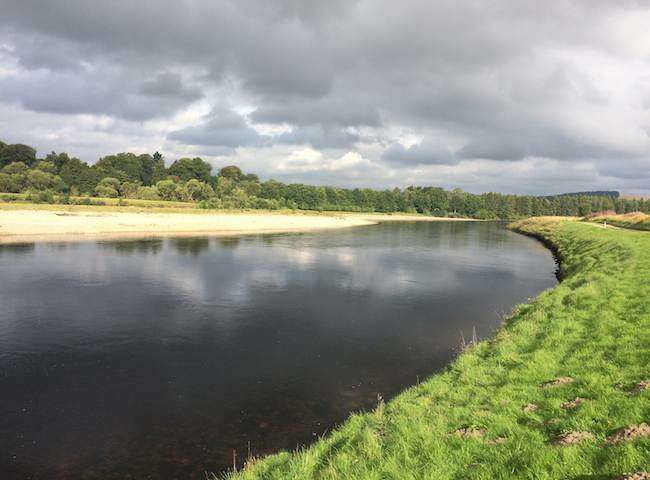 Here's a lovely shot of the River Tay on a moody sky day. Even when the sun doesn't shine the shades of grey and green on the Tay have their own special kind of beauty. Here's a fantastic shot that was taken at Dunkeld on the River Tay just upstream of the spectacular Telford Bridge. This is a seriously beautiful Tay salmon fishing venue which has to be seen to be appreciated. 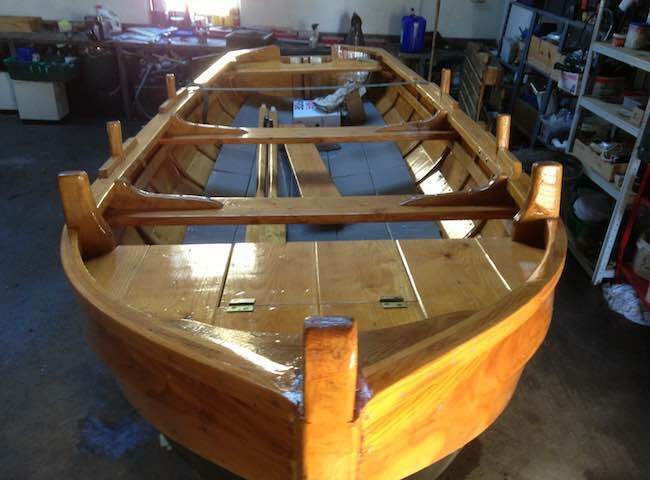 Here's a River Tay coble boat which is designed purely with salmon fishing in mind. 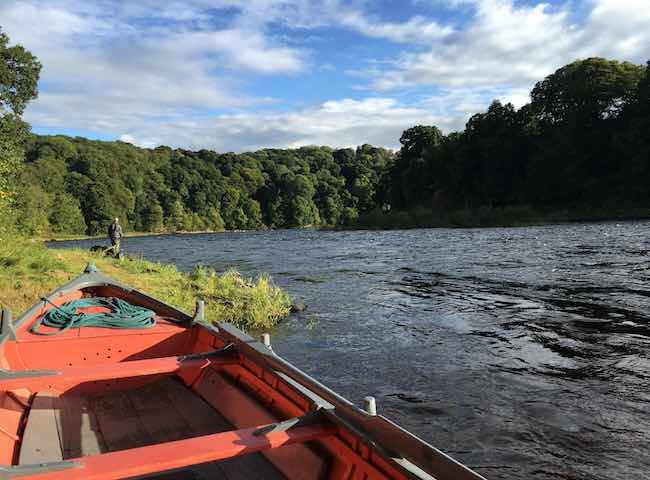 These boats are found on most quality Tay venues and will add another dimension to your salmon fishing event. Here's the end product of quality salmon guide instruction on a beatiful sunlit River Tay salmon fishing day. 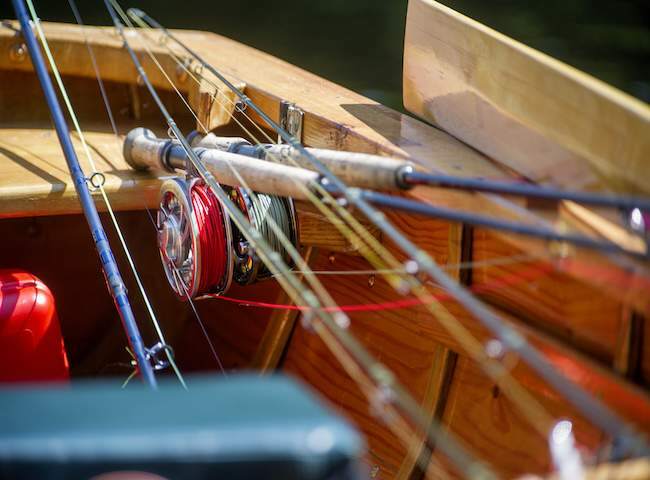 Book a salmon fishing event for 2019 and show your business associates a natural way to spend the day. Only the very best and balanced salmon fly fishing equipment is brought in for all of our salmon fishing event days. 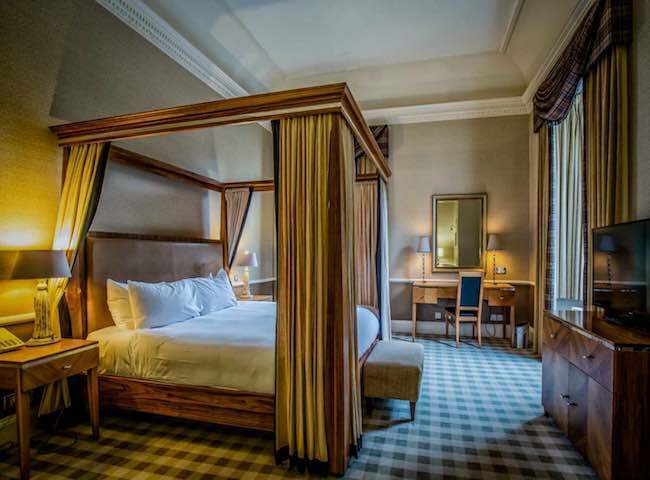 Treat your staff to the magic of the River Tay this Summer. 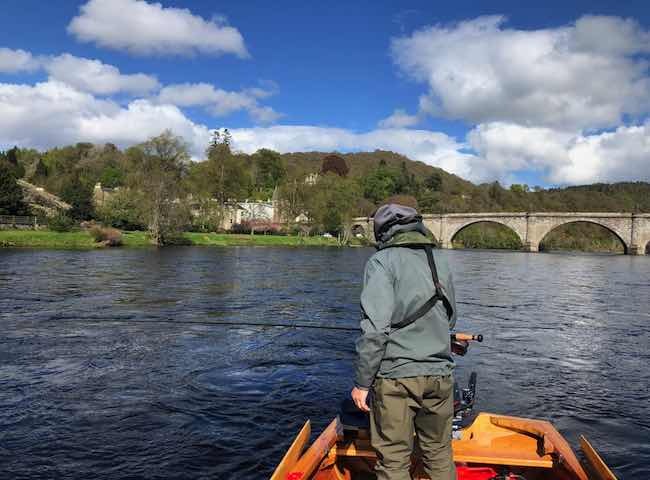 The River Tay opens today for the 2019 salmon fishing season and fresh run Spring salmon will already be present in its beautiful pools. 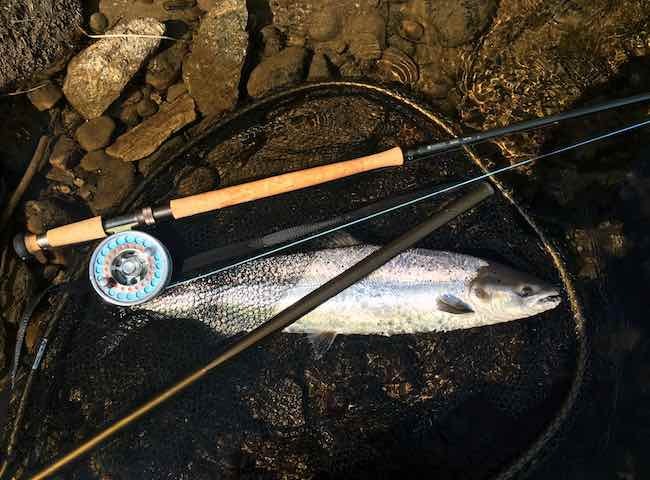 Treat yourselves to an encounter with a perfect Tay salmon this year. 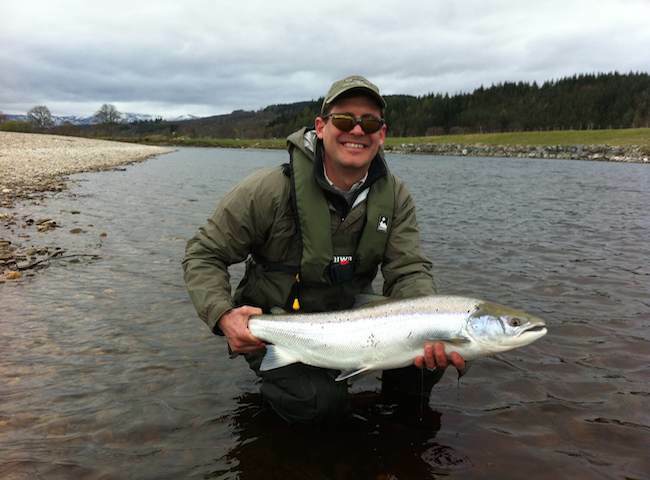 There's much more to planning a River Tay salmon fishing event than you could ever imagine. Selecting & preparing the venue correctly and bringing in the best professional salmon guide & catering staff is the key for success. 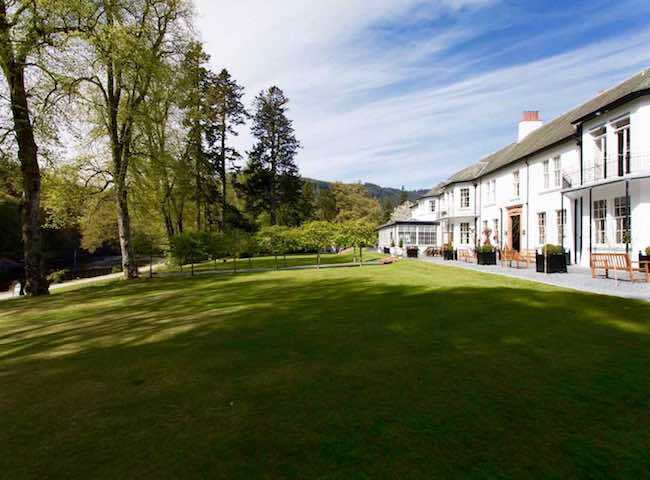 The beautiful Dunkeld House Hotel is another fine choice of accommodation venue for your salmon fishing event and is located only 70 yards from the famous River Tay. Great accommodation is just as important as locating the best salmon fishing venues and guides. We are very familiar with the best hotel options for our salmon fishing event guests. 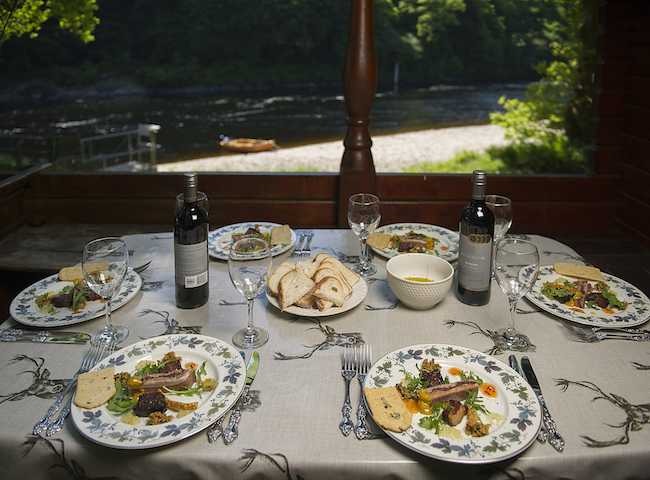 Great cuisine tastes even better served in a luxury salmon fishing hut beside Scotland's famous River Tay. Book something 'naturally' different for your business associates this year.